Our inaugural Black Shirt Comedy Night was such a good time that we're bringing it back every month 'til the snow flies! 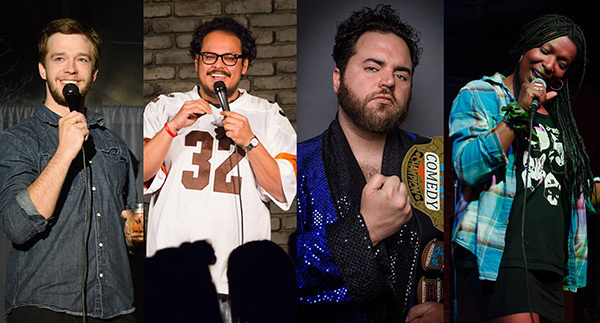 Hosted by Nathan Lund of Comedy Works, the July show will feature four terrifically talented comics throwing jokes and spinning stories: Ben Bryant, Janae Burris, Ramon Rivas II and Nathan Lund. Leave your worries behind and grab a seat in the beer garden! This is a free show - the laughs are on us. *Please note: This event is not kid friendly as we cannot guarantee censorship from our comedians.